"Mit uns digital! Das Zentrum für Niedersachsen und Bremen"
The "Industry 4.0 Competence Center" is sponsored through a national initiative of the German Federal Ministry of Economic Affairs and Energy (BMWi). The main objective of these competence centers is to support small and medium-sized enterprises (SME) in the development and implementation of Industry 4.0 technologies. 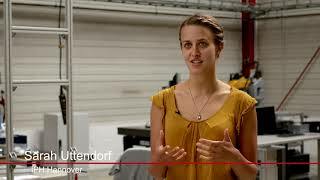 The "Competence Center Hanover" is led by the IPH in cooperation with the research institutes incorporated in the Hanover Centre for Production Technology (PZH) of the Gottfried Wilhelm Leibniz University of Hanover. Since the competence centers are structured on a regional basis across Germany, the "Competence Center Hanover" focuses on SMEs located in Lower Saxony and Bremen. For this purpose the competence center cooperates with regional partners (industrial and scientific) and with other centers. 26.10.2018 Training "Material handling with automated guided vehicle systems (AGV)"
27.09.2018 Training "Using big data and data mining in production and logistics"
26.09.2018 Training "Digital factory planning and evaluation"
31.08.2018 Training "Material handling with automated guided vehicle systems (AGV)"
06.04.2018 Training "Material handling with automated guided vehicle systems (AGV)"
19.03.2018 Training "Using big data and data mining in production and logistics"
13.02.2018 Training "Digital factory planning and evaluation"
07.11.2017 Training "Using big data and data mining in production and logistics"
23.08.2017 Training "Using big data and data mining in production and logistics"
22.08.2017 Training "Digital factory planning and evaluation"
12.04.2017 Training "Material handling with automated guided vehicle systems (AGV)"
22.03.2017 Training "Using big data and data mining in production and logistics"
21.03.2017 Training "Digital factory planning and evaluation"
13.12.2016 Training "Material handling with automated guided vehicle systems (AGV)"
08.12.2016 Training "Digital factory planning and evaluation"
15.11.2016 Training "Big data and data mining applications in production and logistics"
24.08.2016 Training "Big data and data mining applications in production and logistics"
Kuiper, G.; Kleinwächter, N.: Mittelstand 4.0-Kompetenzzentrum startet in die zweite Runde. In: phi – Produktionstechnik Hannover informiert, Newsletter Nr. 21 / Dezember 2018, ISSN: 2198-1922. 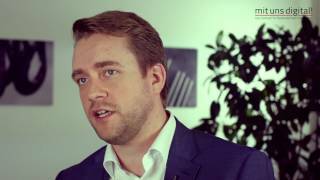 Since 2015 the Mittelstand 4.0 Centre of Excellence "Mit uns digital!" informs SMEs in Lower Saxony and Bremen about the opportunities and challenges of digitalisation. Now the funding from the Federal Ministry of Economic Affairs was renewed. Reichert, S.: Tourbus bringt die Digitalisierung aufs Land. In: phi – Produktionstechnik Hannover informiert, Newsletter Nr. 15 / Juni 2017, ISSN: 2198-1922. A bus rebuilt as factory is presently touring across Lower Saxony and Bremen. The goal: getting small enterprises informed on Industry 4.0. 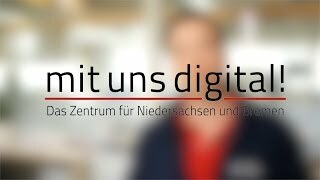 The free roadshows are organized by "Mit uns digital!". Until the end of 2017, there will be another eleven tours. Online monitoring of production processes, digital factory planning, additive manufacturing – "Mit uns digital!" offers these workshops for free to specialists and executives of small and medium-sized enterprises (SME). The digitalization campaign is sponsored by the Federal Ministry for Economic Affairs and Energy, Germany. Free information around the topic Industry 4.0 is offered by “Mit uns digital! Das Zentrum für Niedersachsen und Bremen“ (literally translated as: Go digital with the Centre for Lower Saxony and Bremen!). The experts provide trainings for specialists and executive managers and support them when implementing their digitalization projects. Ullmann, G.; Mach, F.: Niedersachsen auf dem Weg zur Industrie 4.0. In: Innovationsförderung im Rahmen der neuen EU-Förderperiode und darüber hinaus. Evangelische Akademie Loccum, Rehburg-Loccum 2015, S. 57-65. Despite the high economic potential, only a few companies in Lower Saxony have implemented Industry 4.0 approaches so far. 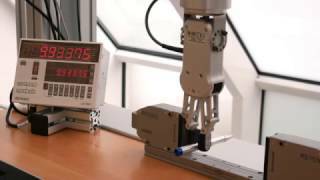 Therefore a new Industry 4.0 Competence Center is introduced in this article. The Center supports companies in Lower Saxony on their way to Industry 4.0 with a wide range of services. As part of a national initiative of the Federal Ministry of Economics the Competence Center’s objective is to significantly increase the implementation of Industry 4.0 solutions within the next three years. The German Federal Ministry for Economic Affairs and Energy appointed five centres to help support small- and medium-sized enterprises (SMEs) in the development and adoption of Industry 4.0 know-how. The joint proposal of PZH and IPH is the one which will be put into practice first. What is the benefit for craft and SMEs? The project no. 01-MF15002B is funded by the German Federal Ministry for Economic Affairs and Energy (BMWi) in the research programme "Mittelstand-Digital".